What do Mumford & Sons, Jack White, Black Keys and Johnny Depp all have in common? They now call Nashville home (at least for part of the year). 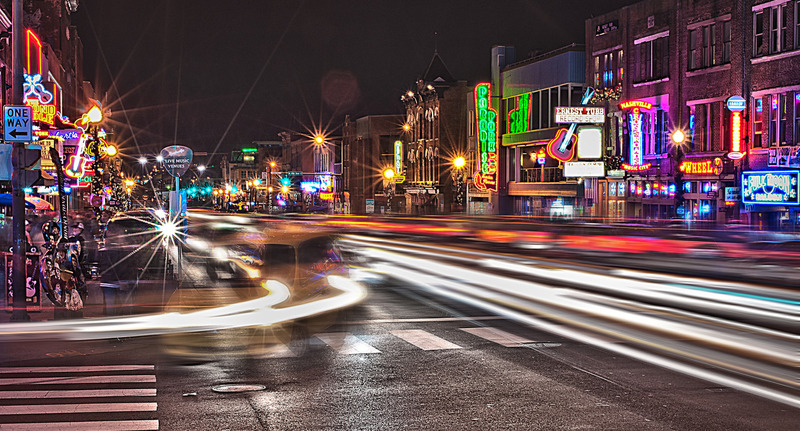 Tennessee’s capital is arguably the most progressive/hip city in the Volunteer State, and Nashville’s nightlife, culinary and arts scene have blown up over the last 5-7 years. Once best known for its country music roots (the city has 3x the number of music businesses as Los Angeles), Nashville is now recognized for its high quality of life (e.g. no state income tax!! ), arts scene and entrepreneurial ecosystem. As a native Tennessean, I can vouch for the awesomeness of this dear little city as I’ve spent a ton of time there for work and play. It’s the perfect weekend getaway because you can literally see everything in 2-3 days. Nashville has really matured/diversified over the last few years. You’ll fit in wearing cowboy boots and jeans as much as designer duds. Hipster artists, Vanderbilt (“Vandy”) students, ex-frat guys in suits and up-and-coming musicians all mix and mingle here with friendly ease. It’s super common for graduates from the region’s universities and colleges (e.g. Ole Miss, Auburn, Univ. of Tennessee, Sewanee, Univ. of Alabama, etc.) to end up in Nashville post-graduation so there’s a great singles scene filled with young professionals who are always down for a happy hour or a concert. It’s definitely got a small town feel with big city amenities, but the neighborhoods are a bit physically disconnected so you’ll need to rent a car or prepare to Uber. Nashville isn’t super dog-friendly, but more and more hotels and patios are allowing them. As always, call/check ahead of time. Hutton Hotel (1808 West End Avenue) – Located just west of downtown (close to Vandy), the Hutton is my favorite place to stay. It’s a hip and modern boutique hotel that pays attention to the details. Molton Brown products and an amazing waterfall shower head are just the start. 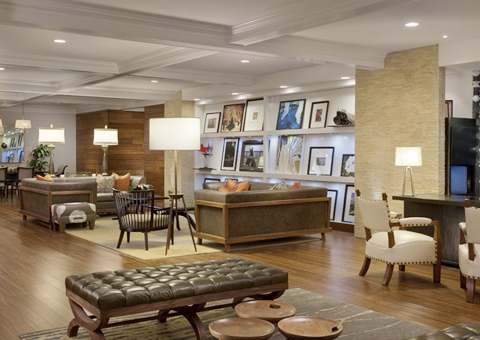 They’re also incredibly dog-friendly – your furkid will be greeted at the front desk with a goodie bag of treats, and they have a dog walker on-hand if you end up staying out late. Hermitage Hotel (231 6th Avenue North) – If the Hutton = modern, the Hermitage = Southern classic. Located right downtown (close to the Capitol), the Hermitage is historic (open since 1910) and sophisticated. Be sure to grab a drink and fancy snack at the Oak Bar where you’re likely to overhear legislators, lobbyists and consultants gossiping about the latest news and developments at the Capitol. The Hermitage is also dog-friendly and offers dog walkers, as well as in-room dining menus specifically designed for pets. Nashville has a tricky relationship with Airbnb, but there are plenty of options downtown. FRIDAY – Get unpacked, freshen up and then hit the town. One of my favorite restaurants is Silo (Germantown), just north of downtown. They have amazing cocktails/local beers, and their menu is locally-sourced so it changes often. Last time I was there, I had the Hangar Steak with Asher Blue Cheese Fondue, and it was delicious. Post-dinner, I’d hit up the bars in the super-hip Gulch neighborhood. Located between downtown and Music Row, it’s a quick cab from Silo and has a good cluster of bars within walking distance. For a laid back vibe, try Jackalope Brewing Company and Pour House (looooong list of bourbon and whiskey). And be sure to check out Station Inn, which offers killer live Bluegrass, Americana and Roots music with cheap beer. One of my favorite places to show off Nashville is the Sinema Bar and Restaurant (Berry Hill). Housed in an old movie theater, the concept, decor and drinks are on point. It’s a great place for a girls night or date night – and don’t be turned off that it’s in a shopping center outside of downtown, it’s definitely worth the Uber drive. Fave cocktails: Lost & Founders and Suze & Sarandon. Speaking of Uber, Santa’s Pub is a truly authentic establishment based in South Nashville. It’s the epitome of a dive – open til 2:30am, cash only, canned beers and the owner works the door (and looks a lot like Santa). College kids and grandparents dancing during karaoke each night, and it’s a great spot to close the evening…before grabbing hot chicken or Krystal’s, of course. SATURDAY – Maximize the day by exploring Nashville’s arts, music, historic and cultural sites (apologies in advance for the heat and humidity). Rather than pontificate on the benefits of museum X or music tour Y, I’m going to simply redirect you to VisitMusicCity.com. It’s a wonderful resource that captures the best of Nashville’s attractions. Bonus – if you’re traveling with kiddos, check out these options. But wait! First…we must brunch. Pinewood Social (Downtown) is my family’s favorite spot because there’s plenty of fun for the kiddos. Bocce ball, bowling, dipping/swimming pools and games for the table – all within a rustic and industrial-chic restaurant that features a full bar. There’s a coffee shop and co-working tables up front so it’s normal to see entrepreneurs and students cranking away…with a bloody mary and chicken & biscuits stationed next to their lap top. It’s also a great spot for dates, girls trip and large groups…just call ahead ’cause it’s hella popular. I could write a whole blog post on this place so check out their Facebook page to explore all the cool offerings. I’m not huge on visiting a city’s “top 10 tourist sites” – I’d rather wander around neighborhoods, stumble into cool places, and try to absorb the vibe like locals. However, I can vouch for the Country Music Hall of Fame (Downtown) because it shares a comprehensive history of country music from Patsy Cline to Carrie Underwood. And if you love music, check out the schedule at the historic Ryman (Downtown), which has hosted everyone from Adele to Dwight Yoakum. Tickets sell out quick so check the schedule and buy early. Another touristy spot worth checking out is the Hatch Show Print (Downtown). In operation since 1879, they churn out hundreds of custom posters and artwork for entertainers, concert tours and venues. Tour the space and score a funky and vintage Johny Cash or Roy Acuff poster. After checking out the sites (and a quick nap), get gussied up and hit the town. For true Southern fare, try Whiskey Kitchen or Tavern (Gulch), and if you’re in the mood for fancy sushi, try Virago (Gulch). All are fun, hip and absolutely delicious (seriously, order whatever looks good – you can’t go wrong). They’re also a short cab ride to Broadway Street, which is where I’m taking you next because it houses a large cluster of legit country music bars. You can literally walk down Broadway any time of day and hear amazing live music streaming out of every door. The area is definitely touristy so there’s great people watching and cheap/stout drinks. My favorites are Robert’s, which is an old school, Texas-style honky-tonk and Paradise Park, which is trailer-parked themed bar complete with astroturf carpet. You can also buy cowboy boots in the stores along Broadway and most have a “buy one, get TWO free pairs” so treat yourself and bring some home for your friends! SUNDAY – Nashville is a brunch town, and there’s no better option than Mad Donna’s or Marche in East Nashville. I LOVE East Nashville (quick cab from downtown) because it feels the most like NorCal. It’s where you’re most likely to run into Mumford or where your bartender is likely the next big Americana star. Wander around any of the shops in the Five Points neighborhood, and if you get thirsty, try Holland House for fun cocktails or the Pharmacy’s beer garden for craft beer and gourmet tater tots. Locals may caution you that it’s an “up and coming” area, but I’ve never felt unsafe. Whatever you do, avoid the Green Hills neighborhood. Tons of traffic and suburb-type bars and restaurants. There’s shopping but nothing Sacramento doesn’t have. And speaking of shopping… Flip (Edgehill) is the BEST consignment shop I’ve ever encountered. Hermes scarves ($25), Alexander Wang dresses ($40) and Prada loafers ($100) for insane prices. Two Old Hippies (Gulch) has curated some of the most fun clothing, jewelry, decor and accessories in town. And don’t bother visiting the Jack Daniels Distillery (Lynchburg). Total bust unless you are a serious fan and/or collect labeled bottles, but you’ll pay inflated prices. It’s located in a dry county (welcome to the South! ), and you only get a small sample after completing a two-hour tour. It’s a lovely facility…filled with older tourists from New Jersey. Hi and thanks so much for the mention! We are so glad you visited us at Whiskey Kitchen at Virago, two M Street restaurants! Let me know if any GOTG ladies come back to town and want to visit us. I appreciate the info. Green Hills does have some neat local places, although it is very busy (as is almost everywhere in Nashville). I disagree about Jack Daniels, I found it very interesting and historical. Although I enjoy the historical places. There are a lot of those in Nashville. President Andrew Jackson’s house, The Belle Meade mansion, Fort Negley, among many others. Also, don’t forget downtown Franklin and Arrington Vineyards south of town. Both are very neat and beautiful. Glad you enjoy places but totally disagree about Jack Daniel’s. It is an amazing place and Lynchburg, TN is a quaint, sweet town. I understand each person is different and that is the blessing of being an adult.